Kuala Lumpur played host to the 4th edition of the Asian Side of the Doc (ASD), an international documentary co production market. The four day conference which took place from 19th to 22nd March 2013 was organised by Bang Singapore and Sunny Side of the Doc in collaboration with the ASD/Crossing Borders training program. It was sponsored by the National Film Development Corporation Malaysia (FINAS), Ministry of Information, Communication and Culture of Malaysia and the European Union Media Mundus Fund. ASD was established by Yves Jeanneau, the founder of Sunny Side of the Doc, the annual international documentary market held in La Rochelle, France since 1989 with the intention to reach more territories and create new alliances. Besides ASD, he also created LSD (Latin Side of the Doc). ASD is an annual meeting place between key decision makers and producers from the Asia-Pacific region, Europe and other countries around the world. The first ASD was held in 2010 in Hong Kong followed by Seoul (2011) and Tokyo (2012). In 2011, Yves joined forces with Keiko Bang of Bang Singapore to organise ASD. Bang Singapore has since become the Asia based organiser. ASD’s main objective is to create new co-production opportunities for both Asian and international producers and commissioning editors, allowing new ventures and collaborations. It offers a platform to build strong professional and international networks, to promote deals and presales for programs in production, to initiate new coproduction projects as well as a learning and training ground for producers. It has been growing from strength to strength. ASD 2013 saw 510 participants from 43 countries including 104 decision makers. 13 new countries attended this year; Afghanistan, Cambodia, Indonesia, Kazakhstan, Laos, Maldives, Pakistan, Iran, Thailand, Lebanon, UAE, Chile and Kenya. Amongst the broadcasters who attended were ABS-CBN Philippines, AETN, Aljazeera, ARD/MDR Germany, Arte, Astro Malaysia, BBC Worldwide India, BBSC Bhutan, BTV Bangladesh, CBC Canada, CCTV 9, China Central Television, LIC China, Discovery Asia, Discovery Canada, DR TV Denmark, EBS, France Télévisions, KBS, Mediacorp Singapore, NHK, NRK Norway, PBS USA, PTS Taiwan, RTHK, SBS TV Australia, TVK Cambodia and ZDF Germany. The event organises four key activities in bringing documentary producers and broadcasters together; master classes, pitch sessions, side by side meetings, and panel discussions. Prior to the main event, master classes were held this year helmed by Crossing Borders. Selected Malaysian producers went through a 5 day training workshop which ended with the National Malaysia Documentary Pitching Forum. This was an opportunity for Malaysian producers trained by Crossing Borders to pitch local documentary projects to an audience of international commissioning editors. 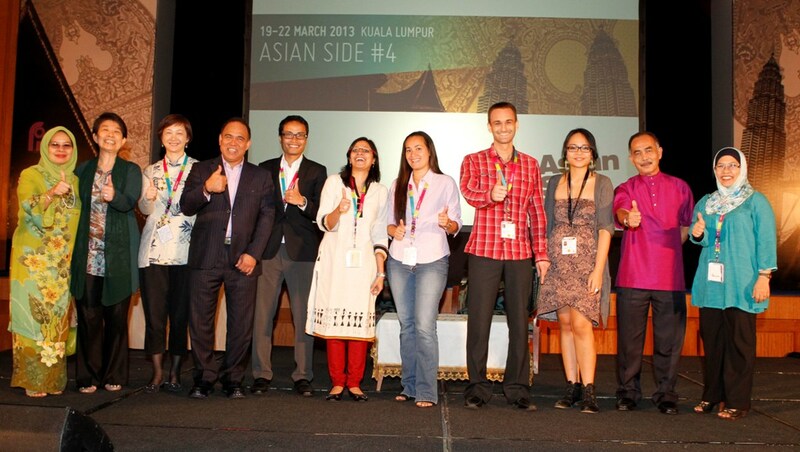 Selected producers went on to pitch their projects on behalf of Malaysia at ASD. 3 out of 9 projects were selected for the final pitch. 27 projects were pitched at the main pitching sessions. It was a rigorous session with moderators helping to get immediate feedback from decision makers. Topics for panel discussions included Co-Producing with Malaysia, Science TV-Facing the Future, New Media – New Audiences, Stories of Islam. Specific co production case studies were also discussed which provided a valuable insight into the advantages and challenges of co production. There are also documentary screenings and an event called Government Sidebar which is a private event with leading government promotion agencies and public broadcasters to share ideas regarding initiative, incentives and policies for producers. This year at ASD, Screen Australia which is the key funding body for the Australian screen industry gave a presentation to share their existing incentives and how they develop policies. A key activity which was introduced this year is the Doc-In-Progress session which saw 7 near completion projects being presented to create awareness and also as an attempt to garner support for their final leg of financing. The projects that were presented already had a history in ASD; either the projects were pitched during development at previous edition of ASD and/or co production deals started from ASD. It clearly showed the intention of the organisers to follow through and support projects from beginning till the end. Some producers were seeking advice regarding international sales because their version of edit may work for their local audience but not necessarily work for international audience. Nearly finished films allow the decision makers to know exactly what they are buying into. It proved to be a fruitful and valuable session. The vibes and atmosphere at the event was very welcoming, casual and full of enthusiasm. Yves Jeanneau said that the aim is to create an equal and democratic platform for communication and the challenges for them as an organiser are really understanding the cultural differences and finding the right format to allow the free flow of exchange. In a nutshell, the ASD plays the role of match maker. Deals are made or are in the process of being made at the event. A few noted outcomes in 2012 were the establishment of Tokyo Docs and Tokyo Association of Producers. In 2013, direct outcomes were the signing of MOU between FINAS and Sun Media International Co. Ltd for post production collaboration and 5 Asian broadcasters have also met and agreed to collaborate. ASD team does many outreach programmes and collaborations with other events throughout the year. For instance, selected project from CNEX Chinese Doc Forum (CCDF) and Tokyo Forum are invited to pitch at ASD. The Best Asian Pitch project at ASD is invited to pitch at Sunny Side of the Doc at La Rochelle. Sharon Gan has an MA in European Cultural Policy & Management. She is an independent film producer and publicist based in Malaysia.